Lisa Abdishoo, MD, is the President & CEO of Los Angeles Christian Health Centers, a non-profit clinic system that cares for more than 10,000 patients per year in Skid Row, Boyle Heights and Watts. Dr. Abdishoo was introduced to the organization in 1997 when she rotated through a small homeless clinic (then known as LA Mission Community Clinic), as a part of her Cedars Sinai residency outpatient experience. In 1999 she was hired as the clinic’s first staff physician, and in 2004 when the clinic split from its parent organization, Dr. Abdishoo became the founding Executive Director & Medical Director of the new entity. Dr. Abdishoo completed her undergraduate degree at UC Irvine, her medical degree at USC, and her residency in internal medicine at Cedars-Sinai. She serves on the Board of the Community Clinic Association of LA County, and is involved in National Health Care for the Homeless Council and Christian Community Health Fellowship. Javier Angulo has responsibility for Walmart’s national community and associate engagement strategy with the focus on reinforcing Walmart’s position as the most valued retailer in the community. Javier was previously responsible for Walmart’s regional and state business growth strategy, legislative and policy affairs, stakeholder outreach, and regional philanthropy in California, New Mexico and Hawaii. Javier has over ten years of experience working in the non-profit and political sectors. He began his career in Washington, D.C. as a Congressional Hispanic Caucus Fellow and served as a constituent liaison for the Senate Democratic Steering and Coordination Committee. He returned to California to join the Mexican American Legal Defense and Educational Fund (MALDEF) where he served as Director of Development. He then joined the National Association of Latino Elected and Appointed Officials (NALEO) to direct their national civic engagement programs. Javier is currently Chairman of the LA Plaza de Cultura Y Artes in Los Angeles and board secretary of the Los Angeles Business Federation. He is also a member of the US Conference of Mayors Business Council. Other current board memberships include: American Red Cross of Los Angeles, Southern California Leadership Network, Valley Industrial and Commerce Association (VICA), the Valley Economic Alliance, and White Memorial Hospital. Javier also co-founded HONOR PAC, a political action committee dedicated to electing Latino LGBT candidates. He served as a mayoral appointee to the Los Angeles Neighborhood Council Review Commission and the Los Angeles East Area Planning Commission where he served as President. Javier earned a Bachelor’s Degree from the University of California Santa Barbara and resides in the Lincoln Heights neighborhood of Los Angeles with his partner Ryan and his two doggies Canela and Kobi. Ms. Tersit Asrat is a seasoned professional in the marketing and communications industry. She is a published author of two books, public speaker and producer/writer of various television programs and events. In the past, Ms. Asrat owned and operated Universal Media Group, an ethnic marketing, and communications company for over 10 years. She has built her career in the advertising and communication industry working with major clients such as Phillip Morris, Blue Cross, Nordstrom, Sumitomo Bank of California, and So. Cal Gas Company. She has earned a reputation for her ability in strategic planning and implementation of marketing plans and managed over 1 million-dollar accounts. Currently, Ms. Asrat is fulfilling her God-given purpose to take the gospel of Jesus Christ to underserved people of the world, as well as care for the poor and the needy through Hosanna Broadcasting Foundation, a non-profit organization she founded in September 2002. Ms. Asrat is also the founder and President of Hosanna Broadcasting Network (HBN-TV) that broadcasts Christian programming via various platforms including DirecTV, Dish Network, AT&T, ROKU and various over the air digital channels throughout the country. HBN-TV is also no Google Play as well as many platforms. HBN-TV’s program format includes preaching, teaching the word of God, gospel music series, as well as wholesome variety programs for the whole family. In addition, Ms. Asrat is the founder of Hosanna House, an orphanage that cares for beautiful homeless girls who have lost their parents due to the HIV/AIDS. Desolina Avila has been with Wells Fargo for over 17 years. Her current position is the Regional Diverse Segments Manager for the County of Los Angeles. She has been in the housing industry for over 25 years. Desolina was born and raised in The City of Los Angeles and grew up in neighborhood of Cypress Park. She graduated from Cal State Dominguez Hills. Desolina sits on the board of East LA Community Corporation, Pasadena Meals on Wheels where she also delivers food once a week. She is on the board of the National Association of Real Estate Professionals (NAREP) Montebello South East Los Angeles Chapter where she also is one of the Founding Director. Supervisor Kathryn Barger proudly serves the residents of Los Angeles County’s 5th Supervisorial District -- the county’s largest -- spanning 2800 square miles, which includes 22 cities and 70 unincorporated communities in the San Gabriel, San Fernando, Cresenta, Santa Clarita and Antelope Valleys. Dedicated to providing effective, responsive representation to the residents of Los Angeles County, Kathryn began her career in public service as a college student intern in the office of Supervisor Michael D. Antonovich and rose to become his Chief Deputy Supervisor in 2001, where she served until her election to the Board this past November. During the course of her County career as chief policy advisor on Health, Mental Health, Social Service and Children’s issues, Kathryn provided leadership to deliver efficient and effective services and programs that have significantly improved the quality of life for foster children, seniors, veterans, the disabled and the mentally ill. Committed to keeping our neighborhoods and communities safe, she has worked with state and federal leaders along with our County District Attorney’s office, Sheriff, and other law enforcement agencies to implement tough laws and vital public safety initiatives. She is an advocate for the environment and efforts to preserve open space, enhance parks, trails, recreational programs and facilities; and strongly supports libraries and after-school programs to serve local communities. With a strong sense of fiscal responsibility and prudence, Kathryn is dedicated to providing vital county services while protecting financial resources as a responsible steward of taxpayer dollars. Kathryn was born and raised in the 5th District and comes from a family with deep roots in public service in Los Angeles County. She is married to a retired Sheriff’s deputy and lives in the San Gabriel Valley. Mrs. Terri L. Batch is a Senior International Trade Specialist with the U.S. Department of Commerce, U.S. Commercial Service (a division of the International Trade Administration – Global Markets) in West Los Angeles, California. Terri assists Los Angeles based companies in the agribusiness, automotive, consumer products, advanced manufacturing, and design & construction sectors with exporting products and services abroad. Terri received a B.S. from Spelman College, and a MPA degree from the University of Southern California. Terri spent time in language training institutes in Beijing, China and Taipei, Taiwan and speaks Mandarin Chinese at an advanced level. She has traveled extensively throughout China and Asia. Terri has a professional designation as a Global Logistics Specialist from California State University Long Beach and is a Certified Global Business Professional from NASBITE. Pastor J. Edgar Boyd, Born December 7, 1947 in the State of Florida, he was named Edgar E. Boyd. He is one of 8 children born to H. Waymon & Alice M. Swails-Boyd. His childhood nick-name was Jerry, and thus, has been added to his legal name. Pastor Boyd was educated at Mayhaw High School in Blountstown, Florida, graduating in 1965. He served in the US Army from 1968-1970 and was Honorably Discharged. Academically, he graduated Western Washington University in Bellingham WA, Graduating in 1979 with a B.A. Degree in Community Development. He completed a Master of Divinity Degree, graduating from the University of Dubuque Theological Seminary, Dubuque, IA, graduating in 1982. Currently, Pastor Boyd is in the dissertation phase of a Doctor of Ministry Degree Program at the American Baptist Seminary of the West, Berkeley, CA. Pastor J Edgar Boyd’s Pastoral Assignments have included St. John A.M.E. Church, Pueblo, Colorado, 1971- 1973; Pastor of Grace A.M.E. Church, Casper, Wyoming, 1973-1975; Pastor of Walker Chapel AME Church, Seattle, WA, 1975-1980; Pastor of Brookins AME Church, Oakland, CA, 1982-1986; Pastor and Bethel AME Church, Los Angeles, CA 1986-1992; Pastor of Bethel AME Church, San Francisco, CA, 1992-2012. He was appointed pastor of First AME Church of Los Angeles, by Bishop Theodore Larry Kirkland on October 28, 2012. Pastor Boyd is a current Member of Alpha Phi Alpha Fraternity, Gamma Chi Lambda Chapter. He has received over 100 citations, awards and honor from Political, Civic, Social, Community, Religious, Educational and Financial groups and organizations from throughout the U.S.
Pastor J. Edgar Boyd has a long history of leadership throughout civic and religious communities in the state of California. He has organized and established a Multi-Million Dollar Housing and Community Devel- opment Organization in the San Francisco and consults with a number of CBOs throughout the state. Pastor J. Edgar Boyd is married to Florence Miles-Boyd, a native of Oakland, CA. They are parents to two sons; Eric and Jonathan Devereaux; and two daughters, Kimberly Boyd-Folks and Tamara Marie Boyd. Christopher C. Chen, EVP, Endgame Entertainment, an independent entertainment company, producing and financing projects across film, television, theater and new media. Titles ranging from "Hotel Rwanda", "Harold and Kumar Goes to White Castle", Oliver Stone’s "Snowden", and the first of its kind, China co-production deal for “Looper” which opened the 2012 Toronto International Film Festival. Mr. Chen has overseen projects "The Year of the Yao," "Linsanity" which premiered at the 2013 Sundance Film Festival, as well as “Last Chance U” for Netflix, and “Sneakerheadz” which won the audience award at the 2015 SXSW Film Festival. Upcoming projects include “Old Man and the Gun” starring Robert Redford, and an untitled project with David Chang, the chef/owner of Momofuku. Mr. Chen serves on the board of CAPE, the Coalition of Asian Pacifics in Entertainment, championing diversity in media and entertainment, as well as APIA Vote, a non-partisan organization, promoting Asian American electoral and civic participation. He attended both University of California, Berkeley, and University of California, Davis and holds a B.S. in Management Economics, and B.A. in Political Science, also spending a significant time studying Chinese at National Taiwan University. DJ Chuang is a strategy consultant, currently working with the .BIBLE Registry <http://get.bible>--a new top-level domain for all things Bible. He’s most recently authored a new book, MultiAsian.Church: A Future for Asian Americans in a Multiethnic World. He is a graduate of Dallas Theological Seminary and Virginia Tech. He has been blogging at his personal website <djchuang.com> since 1999, curating many links to resources pertaining to multiethnic and Asian American churches. He resides in Orange County, California, with his artistic wife Rachelle, and their son Jeremiah. 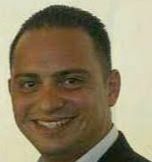 Raul Claros is the Executive Director of the American Red Cross Northern Valleys Chapter-Los Angeles Region. His found passion for the work of the American Red Cross led him to join the ARC team, full-time in May 2016. For over a decade, Raul Claros served the Los Angeles area as a classroom teacher, community organizer, non-profit director and government liaison (both at the state level with the California State Assembly and at the city level with the City of Los Angeles). Today, developing and executing sustainable resiliency plans for the communities of Van Nuys, Pacoima, San Fernando City, South Los Angeles and beyond, is Raul's primary vision as Executive Director of the Northern Valleys Chapter. His commitment to ARC's mission, as well his experience with the Prepare LA campaign, has brought tremendous life saving results in his first year at the helm of the Northern Valleys Chapter. His vision and body of work thus far has included ambitious & attainable fundraising goals, a detailed volunteer engagement strategy and continued growth of partnerships with government entities and community based organizations. Raul's experience in organizing diverse communities, has quickly allowed him to establish a talented pool of leaders on the Board of Directors for the Northern Valleys Chapter this year, multiple resiliency coalitions across LA County, which has only enhanced the reach of the American Red Cross-Los Angeles Region as a whole. Sheldon Cruz is A Senior Policy Analyst for the City of Los Angeles, Human Relations Commission. He has over 16 years of experience working in some of the most underrepresented communities in Los Angeles’ urban core. Mr. Cruz is very passionate about youth and community engagement and strives to assure that youth and Angelenos are empowered and engaged in the civic process at the local, state and federal government levels. Melany De La Cruz-Viesca is the Assistant Director of the UCLA Asian American Studies Center (AASC) and the Managing Editor of AAPI Nexus, a nationwide journal focusing on Asian American & Pacific Islanders (AAPI) policy, practice, and community issues. She also serves as the Director of the AAPI Community Development Census Information Center, a joint partnership with the U.S. Census Bureau. Her research focuses on AAPI demographics and policy, in relation to asset building, housing, community and economic development, and education. She is a member of the Insight Center for Community Economic Development's Experts of Color Network. She was appointed by Los Angeles Mayor Antonio Villaraigosa in 2008 and re-appointed by Mayor Eric Garcetti to the City’s Human Relations Commission. She holds a master's degree in urban planning from UCLA and a bachelor's degree in ethnic studies and urban studies and planning from UC San Diego. Helen Easterling Williams, EdD, is the dean and professor of education at Pepperdine University’s Graduate School of Education and Psychology. She also serves as president of Health Education & Welfare International providing consultative services to individuals, faith-based organizations, and educational institutions. Previously, she served as the dean of the School of Education at Azusa Pacific University where she developed an international visiting scholars program with South Korea. She also served as the Senior Assistant Dean of the College of Arts and Sciences at the University of Delaware. Williams has a reputation for improving student academic outcomes, globalizing the curriculum, diversifying faculty, and securing additional fiscal resources. She earned a doctorate of education degree in Educational Leadership from the University of Delaware, is an American Council on Education Fellow (2004-2005), a lifetime member of Delta Sigma Theta, Sorority, Inc., and an ordained elder in the African Methodist Episcopal Church. Growing up in Sacramento, CA, Ken Fong graduated from UC Berkeley with a BA in biology (’76). He earned his MDiv (’81) and DMin (’90) from Fuller Theological Seminary. Since 1981, Ken helped guide Evergreen Baptist Church of LA (Rosemead, CA) to become a cutting edge multi-generational, English-only, majority API American church. He has served as a trustee for InterVarsity Christian Fellowship, Westmont College, Asian American Drug Abuse Program, and has been an affiliate adjunct professor of Asian American Church Studies at Fuller since 2014. Ken is a frequent conference speaker; most notably he served as the weeklong Bible expositor for 20,000 college students at Urbana 2000. 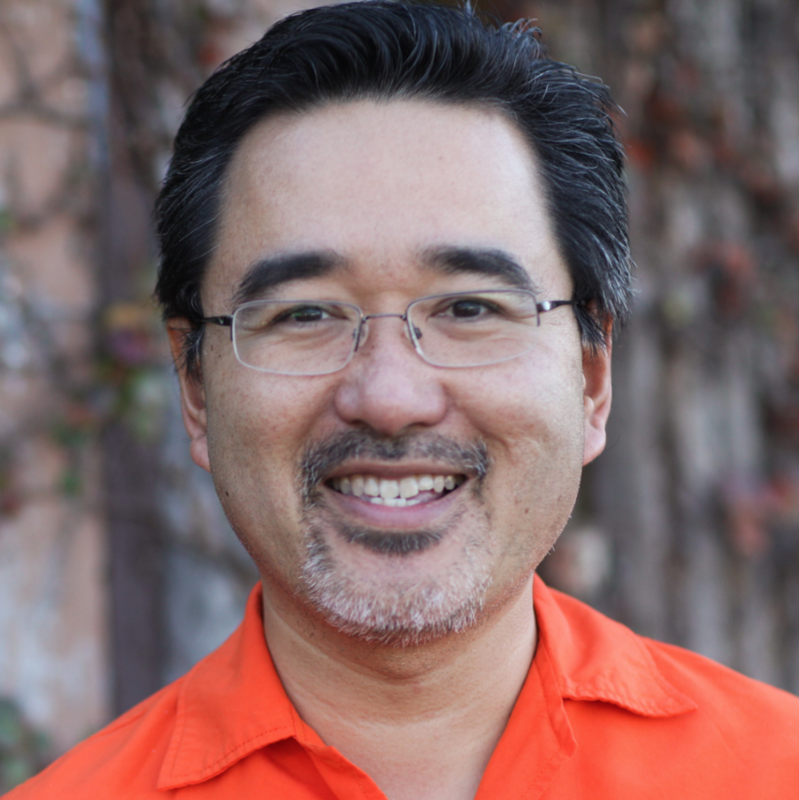 Since May 2015 Ken has hosted and co-produced “Asian America: The Ken Fong Podcast,” a weekly program that has drawn listeners from every State and from over one hundred countries. He retired from pastoring EBCLA in July 2017 in order to focus more on specific passions and travel. Congresswoman Judy Chu (27th District) awarded him the Community Leader of 2017 Award (West San Gabriel Valley) for his pioneering work to get more Christian churches to love and include their LGBTQ neighbors. He is an ardent photographer and cyclist. His wife Sharon retired from the Private Bank of UBOC in 2017 and their daughter Janessa attends Seattle Pacific University. They share their home in Sierra Madre, CA, with their two dogs. Mike Fong as Vice President of the Los Angeles Community College District Board of Trustees. As the largest community college district in the country, the Los Angeles Community College District is comprised of nine colleges serving approximately 250,000 students with a service area of over 800 square miles and over 5 million residents. Mike also serves as the Chair of the Legislative & Public Affairs Committee. 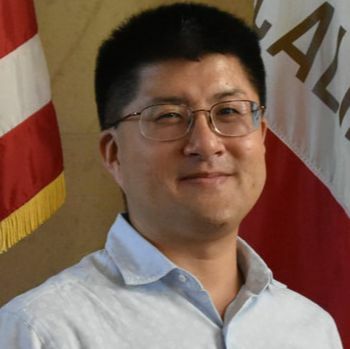 As a lifelong Angeleno, Mike Fong serves as Director of Policy and Government Relations for the City of Los Angeles Department of Neighborhood Empowerment. In this role, Mike leads a team of experienced professionals on policy development and government relations for the Department and Neighborhood Councils in empowering and collaborating with Neighborhood Council Board Members, leaders, and stakeholders in improving the lives of residents throughout the City. Mike worked with the Los Angeles Economic & Workforce Development Department on youth employment and education programs including the Hire LA Summer Youth Employment Program, Cash for College, and the Bank on Los Angeles programs. Mike also audited and monitors various YouthSource Center agencies which help youth pursue educational goals and job training programs. Mike previously served as the East Area Director for Los Angeles Mayor Antonio Villaraigosa. In this capacity, Mike served as the primary liaison between the Mayor’s office and the dynamic and diverse communities in the Northeast and East areas of Los Angeles. Mike was the Policy Director for Workforce Development in the Mayor’s office and the Senior Liaison to the Asian Pacific Islander community in the City of Los Angeles. Mike also previously served as Field Deputy for former Los Angeles City Councilmember Ed Reyes. In this capacity, Mike served as the primary liaison between the Council office and the dynamic and diverse communities of Lincoln Heights, Montecito Heights, Echo Park, Angelino Heights, Solano Canyon, and Chinatown. Active in the community, Mike is the past Chair of the PBS Southern California Asian Pacific Islander Community Council. Mike also serves as a Board Member of the White Memorial Medical Center Community Leadership Council. Mike also as a Board Member and Immediate Past President of the Los Angeles City Employees Asian American Association. Mike has also served on the UCLA Alumni Association Board of Directors and was President of the Asian Pacific Alumni chapter of the UCLA Alumni Association. Mike also was on the founding board of the New Leaders Council Los Angeles chapter. Mike graduated from California State University at Northridge with a Master of Public Administration in Public Sector Management & Leadership and from University of California at Los Angeles with a B.S. in Psychobiology and a minor in Education. Mike attended schools in the 51st Assembly District including Bravo High School, Eagle Rock High School (summer school), Lincoln High School (summer school), Griffith Junior High in East LA (9th grade), Nightingale Junior High (summer school), and Castelar Elementary School in Chinatown. Cristina Garcia came to the Center for Health Care Rights after nearly eight years of experience working with public and non-profit organizations. She holds a B.A. degree from Rutgers University. Cristina has worked with Spanish speaking communities in Ecuador, Nicaragua, Guatemala, and El Salvador. During this time she developed unique educational programs for low income women and children; she also provided assistance at medical clinics and nursing homes and helped raise funds to help sustain medical costs. In addition, she has worked as a medical interpreter and EMT/Driver for various clinics and hospitals on the East Coast. Her former work experience has allowed her to work with different age groups and has helped her develop a passion for social justice, diversity, and multiculturalism. Currently, as the Acting Education and Outreach Manager, Cristina is responsible for developing and implementing all community education programs, health fairs and trainings throughout Los Angeles County. Ms. Goldberg is on the staff of the Community Relations Division of the Los Angeles County Department of Mental Health. In that capacity, she is part of a team that promotes initiatives integrating spirituality with mental health services. Her main responsibility is producing and managing the department’s Faith-Based Advocacy Council, which is made up of a broad diversity of faiths, and DMH staff that do outreach and engagement in each of the County’s eight service areas. The purpose of the Council is to forge a partnership of service to individuals and families with mental illness. Aziza Hasan has been part of the NewGround team for a decade and currently serves as the executive director. She has extensive experience in program management and coalition building. Aziza's work has been featured on Ozy, Yahoo News, MSN.com, Public Radio’s “Speaking of Faith” with Krista Tippett, the United States Institute for Peace, Arabic Radio and Television, the LA Times, the Jewish Journal and InFocus. Aziza is a volunteer mediator with the Los Angeles City Attorney's Dispute Resolution Program. ​Rev. Zachary Hoover is the Executive Director of LA Voice, a multi-racial, interfaith organization of 55 congregations across LA County. He is an ordained American Baptist Minister and holds a Master of Divinity from Harvard. Zach serves as one of three peer-elected members of the Guiding Council for PICO National Network and is an appointed member of the LA Co. Probation Commission. He is vice-chair of the Board of Deacons at First Baptist Church of Pasadena. Zach has been organizing for thirteen years, first for Inland Congregations United for Change in Coachella Valley, and then as Lead Organizer and now Executive Director for LA Voice. He nurtures and encourages congregational leadership in diverse religious communities, is a fluent Spanish speaker and leads national trainings with clergy and professional organizers. Zach has led campaigns that have dismantled unfair car impound policies affecting immigrants; increased access to jobs and rehabilitative services for formerly incarcerated Californians; increased public accountability for reinvestment by major financial institutions; leveraged hundreds of millions of dollars in public investments for poor and homeless Angelenos; increased voter participation in communities of color; and bridged relationships between communities often divided by race, class and geography. He lives in Los Angeles with his wife and son. District. Horton served as chair of the Board from 2010 to 2016; and Vice Chair from 2009 to 2010. Horton is distinguished as the only Member of the Board with over 37 years of tax policy, law, and administrative experience: including 22 years within the Board of Equalization, three terms in the California Legislature, and Member of the California Medical Assistance Commission, Cultural Endowment Board and Inglewood City Council. Horton is also the first African American elected to the Board since its inception. Jihee Huh is the Vice Chair of PAFCO and Co-Founder of Pete’s Seafood. Jihee oversees company marketing, strategic planning and new business development at PAFCO. PAFCO is a Seafood Import Export, manufacturing processing, distribution company based in Vernon, California. Expanding the retail brand and collaborating with vendors and retailers, PAFCO has purchasing offices based around the world. Canada, South America, Europe, China, SouthEast Asia and Africa. The Company employs over 300 associates and has over 5000 unique product offerings. PAFCO has satellite office and facility in Boston and clients across the United States. PAFCO was established in 1977 and is a family owned and operated business, ranked one of the top100 privately held business in Southern California. PAFCO is one of the top10 API ranked seafood business in the US. Since 2016. Jihee has served as the Asian Pacific islander Public Affairs Commissioner for State of California. Huh is also Life trustee-Active for Public radio station, SCPR. Has served as Chair of the Board of SCPR. At Children’s Hospital of Los Angeles Board, Jihee is serving as the Vice-Chair of the Saban Research Institute. In 2017, She joined as the Committee member for Human Rights Watch of Los Angeles. This year Jihee is one of the Co-Chair of their Annual dinner, Voices of Justice. She is an active member of the national organization, The Council of Korean Americans. She recently Co-Chaired in April, the Embrace Unity Scholarship Gala, Commemorating the 25th Anniversary of the LA riots. The dinner raised over $250,000. for underserved families and student scholarship funds. Jihee is passionate about connecting community leaders from private and public businesses to advance common good. Hyper focused on Civic engagement and building young generation leaders to help underserved communities. Educated in New York City, Jihee earned a B.S degree form St. John’s University. Peter and Jihee have established the Peter Yun Huh 1982’ Scholarship fund at Amherst College to support underserved Asian Students. The Chadwick Song do- International School Board, in Seoul, Korea. ​Ms. Hyepin Im is a U.S. Presidential Appointee on the Board of the Corporation for National and Community Service. She is the President and Founder of Korean Churches for Community Development (KCCD), a national nonprofit empowering churches and nonprofits to leverage their resources by building capacity, leadership, and partnerships in economic development and serving as a bridge between the Asian American community and the greater community. Since 2001, KCCD has had over 300 partners, ranging from the White House to Fortune 500 companies. 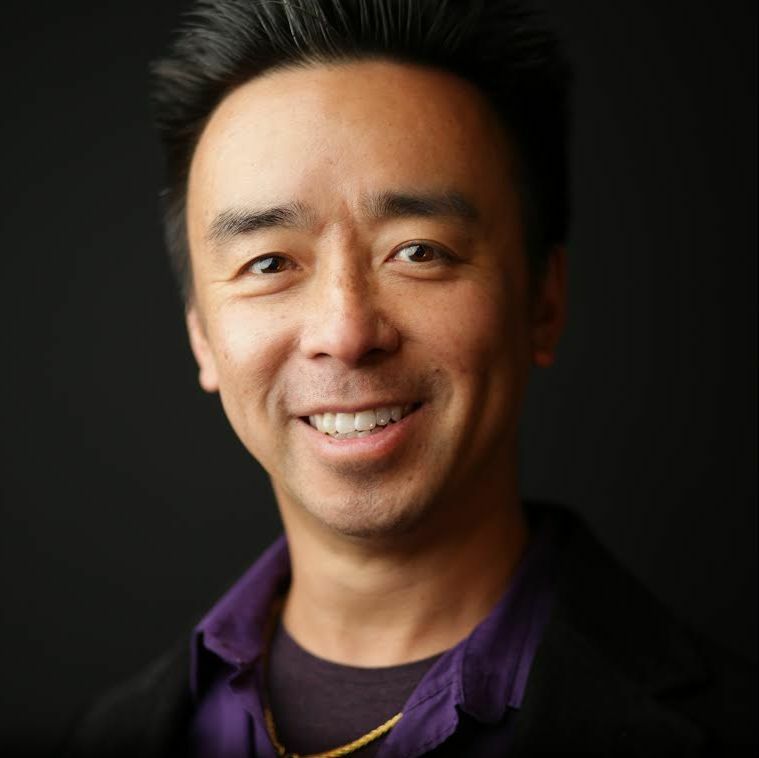 Bill Imada is founder, chairman and chief connectivity officer of IW Group, a minority-owned and operated advertising, marketing and communications agency focusing on the growing multicultural and millennial markets. For nearly three decades, Bill has worked with some of the top domestic and global companies, including American Airlines, City of Hope, Coca-Cola, General Motors, Lexus, McDonald’s, MGM Resorts International, Southern California Edison, Toyota Motor Sales, USA, Inc., Walt Disney Imagineering, Warner Bros. Pictures, Walmart Stores, Walt Disney Studios, Westfield Malls and many others. His areas of expertise include advertising, branding, multicultural communications, marketing, crises management, partnership marketing and public relations. Bill is active in civic and community affairs, and serves on more than a dozen boards and advisory councils, including the Advertising Educational Foundation, Asian/Pacific Islander American Chamber of Commerce & Entrepreneurship, Center for Asian American Media, Coalition for Asian Pacifics in Entertainment, LAGRANT Foundation, PBS, PBS Foundation and many others. Bill was appointed to serve on the President’s Advisory Commission on Asian Americans and Pacific Islanders under President Barack Obama. He and three other Commissioners continue to provide a perspective on Asian American and Pacific Islander concerns to federal government leaders. Bill also co-founded the National Millennial Community, a group of millennial leaders in 35 states and the District of Columbia, who foster civil dialogue on the most critical issues impacting our country. In less than two years, the group has met with more than 120 corporate, foundation, governmental and nonprofit leaders. Gregory Irish (or “Gregg,” as he prefers to be called) was appointed by Mayor Villaraigosa as the Executive Director of the City of Los Angeles Workforce Development Board (WDB). Gregg Irish has dedicated his entire career to public service and workforce development programs. He served as Director of the District of Columbia’s Department of Employment Services and Labor since 1998. Previously, he worked in the Employment and Training/CareerWorks Division of Santa Cruz County’s Human Resources Agency. Prior to that position, he led the Human Services Department of the Santa Barbara County Administrator’s Office. In each of these capacities, Irish oversaw multi-million dollar budgets and implemented job training, worker outreach and social service initiatives for low-income residents. Irish obtained his undergraduate degree at Occidental College and graduate degree at Fordham University. Funded primarily through the federal Workforce Innovation and Opportunity Act, the City of Los Angeles WDB oversees the City’s $60 million system of 17 WorkSource Centers for adults and 14 YouthSource Centers for youth. These centers offer a wide range of quality employment-related services to both job seekers and employers. Over 170,000 jobseekers, 16,500 youth and 1,400 businesses are served annually through the WDB’s system. Paul Jung graduated from UCLA Law School's Public Interest Law and Policy Program in 2013. He formerly worked at Asian Americans Advancing Justice-LA where he focused on raising awareness about the impact of mass incarceration in California, educating individuals and families in Southern California directly impacted by the system, and advocating for juvenile and criminal justice policy reforms. Paul now practices Crimmigration law at Ponce Law Group. Paul is currently the acting Executive Director of API RISE, a non-profit organization that he co-founded that seeks to empower--and advocate on behalf of--formerly incarcerated APIs through mentorship, peer-led support, and job creation. ​Sony Animation, Warner Bros. Animation, Disney Television, Nickelodeon, and Google. After 2 years assistant pencilling on comic books for Image and Marvel, Hakjoon Kang spent the next 19 years designing for Sony Animation, Warner Bros. Animation, Disney Television, Nickelodeon, and Google. He has sketched out rollercoasters, secret hideouts, space ships, hotels, elevated trains, landscapes, post-apocalyptic vans, abandoned restaurants, and planets for the Teenage Mutant Ninja Turtles. In years prior, he helped create the animated worlds inhabited by Young Justice, the Men in Black, the Extreme Ghostbusters, Jackie Chan, Big Guy and Rusty the Boy Robot, the dragons from Dragon Tales, Baby Looney Tunes, Max Steel, kids who play Jumanji, Batman, Super Monkey Robots, and the Teen Titans. These days, he has returned to Warner Bros. to flesh out the upcoming third season of Young Justice. Kevin Kang is a native of Los Angeles, California. He currently is the English Ministry pastor at Shalom Church of Southern California, one of the largest Korean churches in the South Bay; a Legal/Human Resources Assistant at BYD Motors, the world’s largest Electric Vehicle manufacturer; a freelance wedding and event florist; and Director of Perichoresis, an alternative spiritual community designed to create space for people process doubt, heal from ecclesial/spiritual trauma, and redefine what it means to be human and follow Jesus. Kevin strongly believes his calling in life is to write permission slips for the disempowered and empower people to pursue their passions and walk in wholeness and authenticity. His upcoming projects include perichioresismedia.com, a blogging platform discussing spirituality and culture, and a church plant geared towards reaching and creating for the LGBTQI+ community.